Ab Ende April könnt Ihr das Alcatel A5 LED für 199 Euro in Deutschland kaufen. Für diesen Preis erhaltet Ihr ein Basis-Smartphone, das für die meisten Aufgaben fix genug ist, von dem Ihr aber keine herausragenden Fotos erwarten dürft. Der Kauf lohnt sich vor allem, wenn Ihr mit der LED-Rückseite herumspielen wollt. 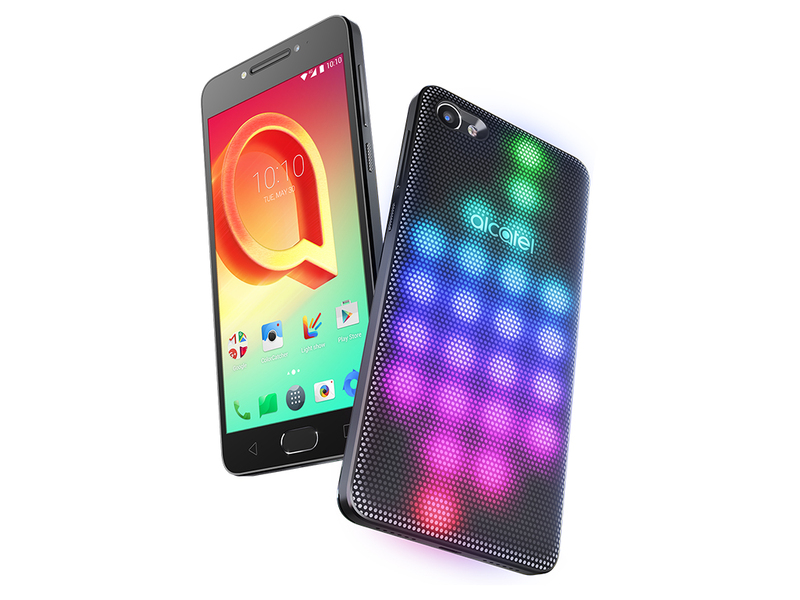 Alcatel recently announced the launch its new smartphone variants A5 LED and A7. With the launch of multiple functionalities, as well as immersive selfie features, the A5 and A7 bring a new level of performance and experience, opening up a new era of smartphone interface. Alcatel is still taking a gimmicky approach to the budget Android phone market, but a flashy LED array fails to mask a long list of distinctly disappointing compromises. 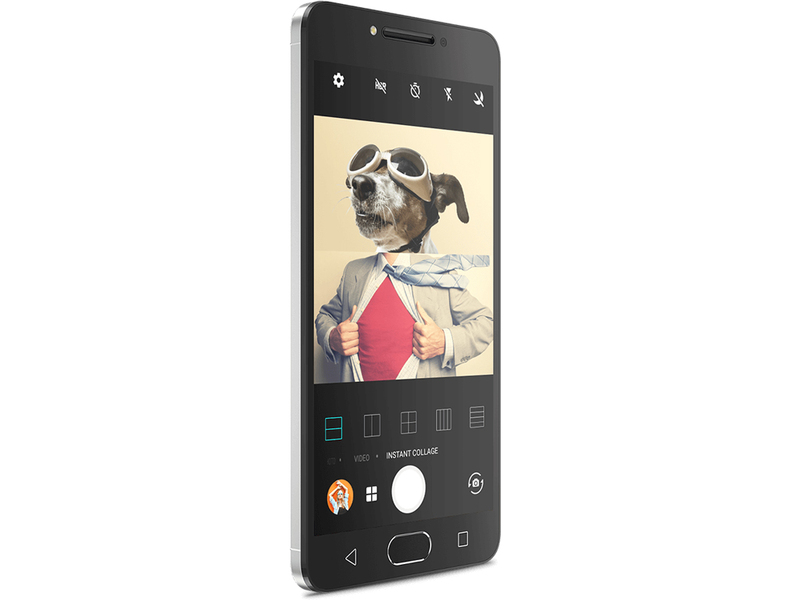 The Alcatel A5 LED is certainly different, and while the LED-packed back is eye-catching, there are too many problems at the phone’s core to make this a serious consideration over the Lenovo Moto G5. The A5 LED is a fun gimmick, tacked onto a bad phone - the opposite of what you might expect with a high-concept mobile like this. The A5 LED is undeniably attention-grabbing, and the price is right too. It’s set to arrive in Europe from May onwards for €199, which should mean £170 here in the UK. That’s not bad at all given the spec, and an absolute bargain if you want a unique phone that’s guaranteed to grab attention. The big question is whether you can get more phone for your money, and while we need to live with the A5 for a bit before properly judging it, my suspicion is it will pale in comparison to affordable wonders like the new Moto G5, which is available at the same price point but boasts superior hardware and newer software. Positive: Impressive led light; nice display. Negative: Short battery life; low performance; poor cameras. Positive: Impressive design; support dual sim. Negative: High price. Positive: Low price; decent hardware; nice display. Negative: Average performance. 75% Recensione ALCATEL A5 Led. In discoteca! Positive: Low price; impressive design. Negative: No fingerprint sensor; poor cameras. Positive: Impressive LED design; long battery life. Negative: Poor display. Positive: Impressive design; decent battery life. Negative: Poor display. Positive: Impressive design; decent hardware. Positive: Low price. Negative: Average performance. Positive: Impressive LED design; decent performance; support 4G LTE; radio FM. Negative: Poor display; poor cameras; short battery life. Positive: Impressive LED design; nice display; decent performance. Negative: Poor cameras; short battery life. Positive: Nice display; support LTE; impressive design. Negative: Short battery life; poor cameras. Positive: Nice design; impressive led; decent battery life. Negative: Average performance. Positive: Good speakers. Negative: High price; poor cameras; average performance. Positive: Solid workmanship; good cameras. Negative: Uncomfortable buttons. Positive: Low price; impressive design. Negative: Average performance. Positive: Support dual sim; original backlight. Negative: Low performance; weak hardware; average stamina; slow charging. ARM Mali-T720 MP4: Integrierter Grafikchip für ARM-SoCs (Smartphones und Tablets) der Einstiegs- und Mittelklasse. 3D Spiele sind auf diesen Vertretern nur in Ausnahmen spielbar, grundsätzlich sind die Grafiklösungen hierfür jedoch nicht geeignet. Office Programme und Internet surfen dürfte jedoch ohne Problem möglich sein. » Weitere Informationen gibt es in unserem Notebook-Grafikkartenvergleich und der Benchmarkliste. MT6753: ARM-basierter Octa-Core-SoC (8x Cortex-A53) mit 64-Bit-Unterstützung und bis zu 1,5 GHz Taktrate für Smartphones und Tablets.» Weitere Infos gibt es in unserem Prozessorvergleich Vergleich mobiler Prozessoren und der Prozessoren Benchmarkliste . 61%: Eine so schlechte Bewertung ist selten. Es gibt nur wenige Notebooks, die schlechter beurteilt wurden. Auch wenn Verbalbeurteilungen in diesem Bereich meist "genügend" oder "ausreichend" lauten, so sind dies meist Euphemismen.